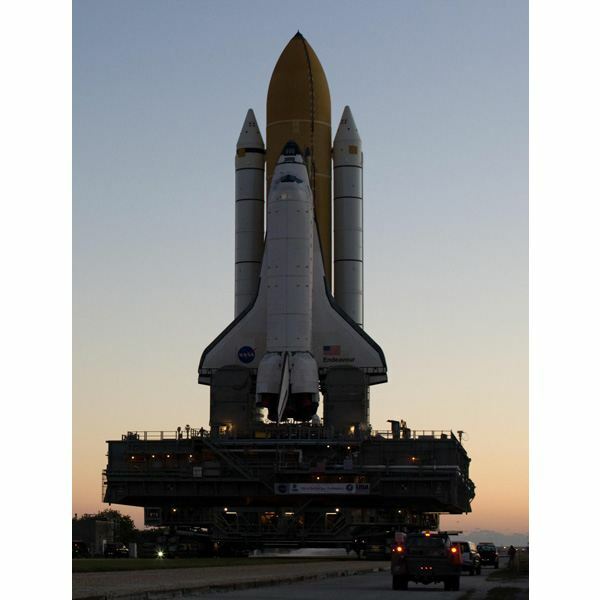 The space shuttle has been called the most complicated machine ever created by mankind. With its solid rocket boosters and external fuel tank, it stands 184 feet tall on the runway, weighs approximately 4.5 million pounds and can reach speeds exceeding 17,300 miles per hour at altitudes of up to 400 miles. The millions of parts that are on a spaceship all contribute to a safe liftoff, orbit and return to Earth once the mission is complete. The spaceship we call the "Space Shuttle" is more properly called the orbiter. The ship is covered by a thermal shield to protect it from the extreme cold of space and the extreme heat caused by friction as it returns to Earth. The orbiter uses an external fuel tank to supply fuel to its three main rocket engines, which provide nearly 1.5 million pounds of thrust during liftoff. Attached to the external tank are the solid rocket boosters also used during liftoff. 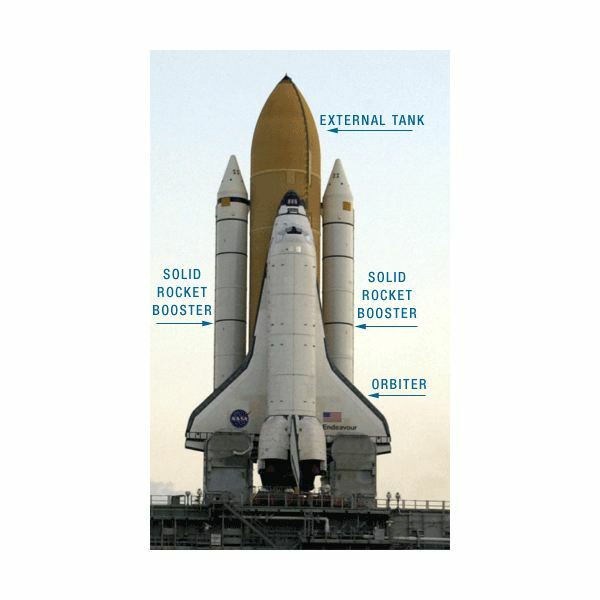 The orbiter, the external tank, and the solid rocket boosters make up what NASA calls the "Shuttle System." The space shuttle stands upright on the launch pad attached to the external fuel tank. 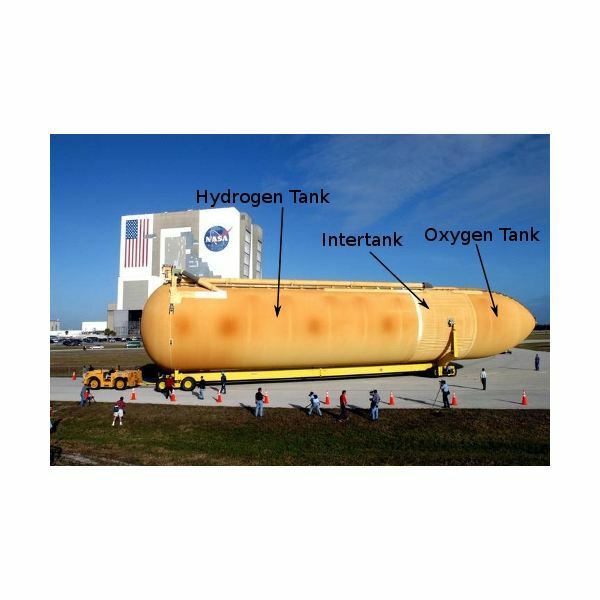 The external fuel tank, which is really two tanks inside a shell, holds 1.36 million pounds of liquid oxygen in the upper tank and 2.26 million pounds of liquid hydrogen in the lower tank. The fuel in the tank lasts about eight and half minutes during liftoff, after which the tank is discarded to burn up in the atmosphere. Two solid rocket boosters (SRB) attach to the sides of the external fuel tank. The two SRBs contribute a combined 5.3 million pounds of thrust during liftoff. 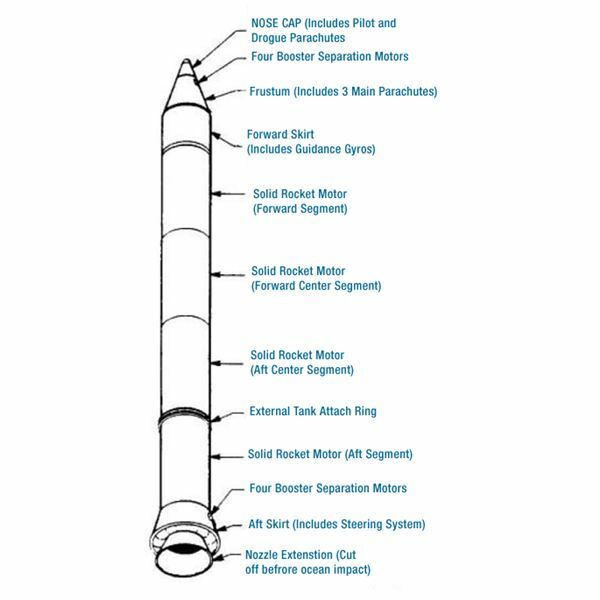 Each SRB contains four rocket motor sections, a guidance system in the forward skirt, the frustum, which holds the main parachutes, and separation motor sections at the top and the bottom. The SRBs are reusable and recovered after they separate from the external fuel tank less than three minutes after they are lit. Covering the orbiter is a special heat shield of more than 24,000 lightweight tiles. Each tile is uniquely shaped—no two are alike. 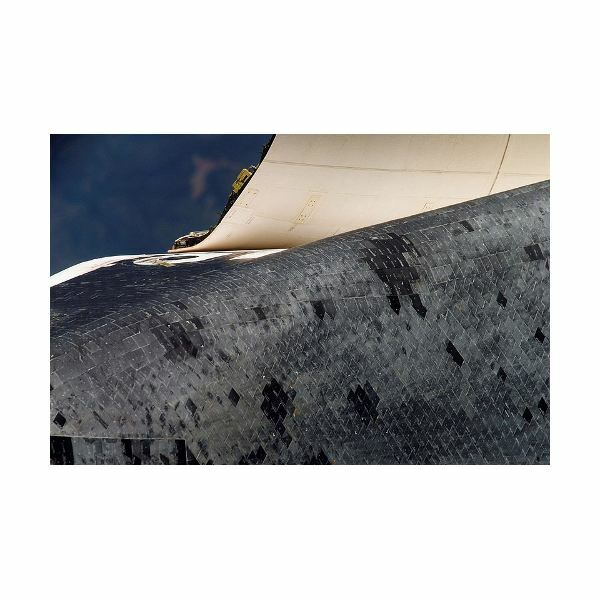 The tiles protect the shuttle because they are poor conductors of heat. Even at 2500 degrees and glowing hot, the tiles may be (carefully) handled without burning your hands. The main part of the forward fuselage is the flight deck and mid deck. The flight deck is where the commander and pilot sit in addition to two other astronauts. The mid deck seats four and also provide sleeping, dining and exercise space. The forward fuselage also holds the nose landing gear and forward reaction control system which helps orientate the orbiter in space. Attached to the mid fuselage are the shuttles wings, each 60 feet and about five feet thick. 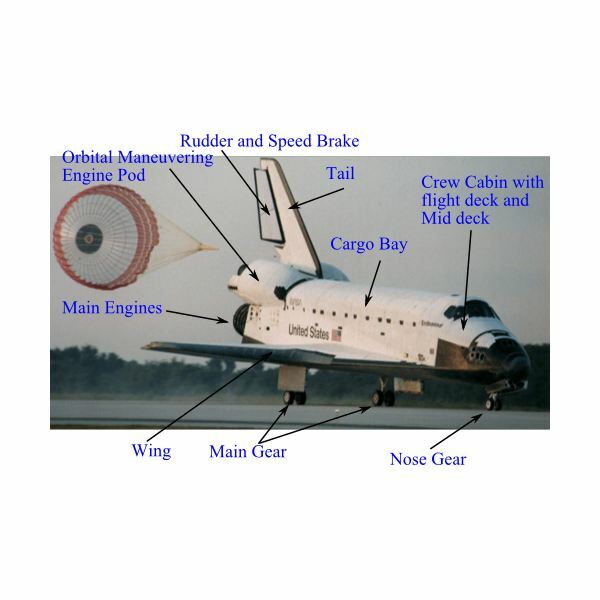 The wings provide conventional lift similar to an airplanes wings during reentry maneuvers. The mid fuselage also holds the cargo bay. During liftoff and landing, the cargo bay doors are closed, but are opened once orbit is achieved. The main landing gear is housed in the lower part of mid fuselage. The aft fuselage holds the main engines, the orbital maneuvering engines and the aft reaction control system. The main engines are only used during liftoff for about eight and one half minutes until the external fuel tank is emptied. The orbital maneuvering engines provide thrust to help steer the shuttle after it reaches orbit, to change the orbit and to slow the shuttle for reentry. 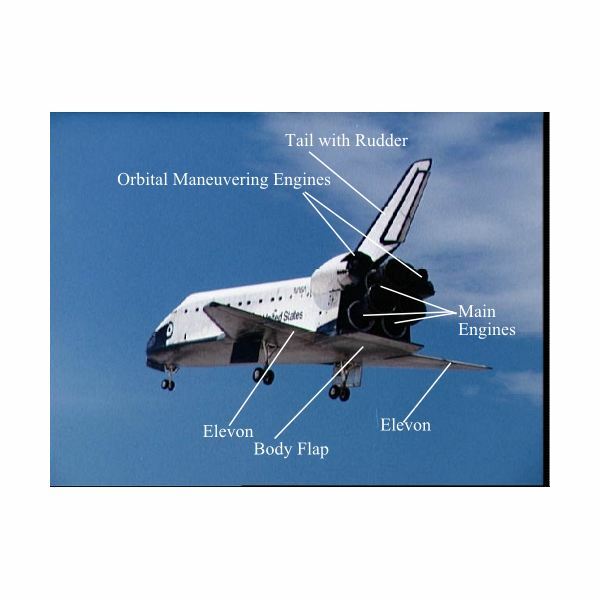 Other parts that are on a spaceship located on the aft fuselage include the vertical tail with the rudder for steering left and right, a speed brake to help slow the shuttle, elevons which provide pitch control and the body flap. The body flap helps with pitch trim and also shields the main engines from heat during reentry.